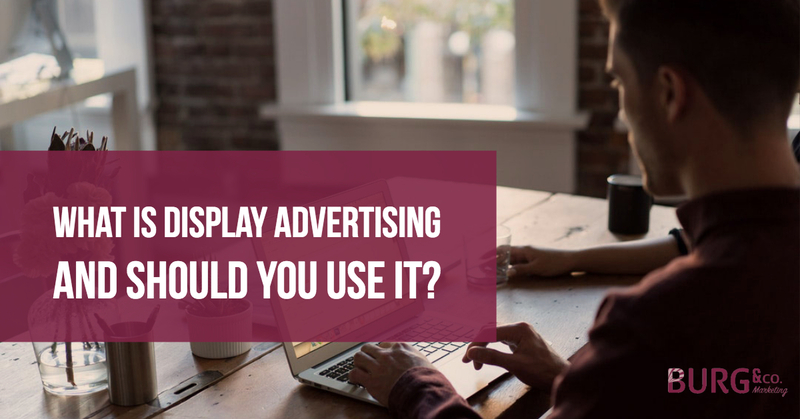 What Is Display Advertising and Should You Use It? Google Adwords is the largest online advertising service in the world. It operates from two primary angles: pay-per-click (PPC) campaigns and display advertising. If you’ve been exploring the world of digital marketing for long enough, you’ve probably learned a bit about PPC, but still have some questions about display advertising. PPC campaigns allow you to bid on target keywords to advertise your page in search engine results, and you do not pay until your ad is clicked-through, but display advertising works quite differently. Display ads get your brand in front of the eyes of people who may have not ever searched for it. Display ads are visual pieces, so you have the opportunity to display your brand’s creative and connective side, which may help improve your click-through rate (CTR). Display ads allow you to target specific demographics so your brand specifically gets presented to the target audience you want. Display ads allow you to track data. You can monitor your ad’s CTR and, if it leads to a landing page, conversion rates. Similarly to PPC keywords, you bid on display ad space. Display ads are typically more affordable than PPC ads because display ads are not shown in search engine results, but rather on the pages of websites that partner with Google advertising. Because of this, display ads do not typically see as many clicks as PPC ads. Also, display ads are easier to ignore. Many users are desensitized to display advertisements. However, this is not a complete loss for you since these advertisements are targeted specifically to people who may be interested in your products or services, so your ads may pique your audience’s interest. Additionally, you should consider the fact that many people use ad-blockers in their web browser. These will disable your ads from ever displaying to the user, which can make your campaign fruitless. Whether display ads are right for your business or not depends on your marketing strategy and campaign goals. Talk to the digital marketing experts at Burg & Co. to discover if your digital marketing strategy should include the use of display ads. Contact us today to find out what kind of SEO, PPC and social media marketing campaigns we can create for you to help your business see an increase in traffic and revenue.